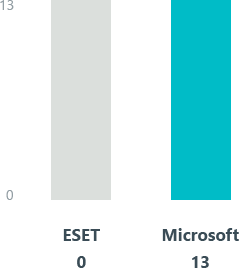 Despite what Windows Defender might suggest, ESET is still protecting you and removing it will not make you more secure. Read on to learn the answers to all your PC security-related questions. False alarms A false alarm is when a safe file is flagged as infected. The more false alarms a security solution produces, the less reliable it is. Protection accuracy Protection Accuracy indicates how effectively the product dealt with threats. Points are earned for detecting the threat and for either blocking or neutralizing it. 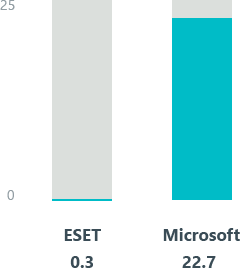 For more information about the compatibility of ESET solutions and Windows 10, please visit our Windows 10 compatibility page. What has changed with Windows 10 Anniversary Release and Windows Defender? Why am I seeing Windows Defender notifications? The 'Anniversary' release Windows 10 update - changed the way that Windows Defender is displayed, by showing its status as "Off" if any third-party antivirus protection is in use. This can look alarming, but if our ESET solution is active and running, there is no need to uninstall it. 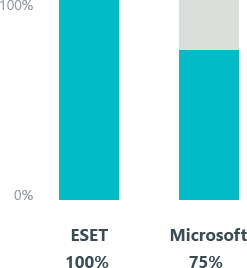 Switching to Windows Defender actually means that you lose multiple extra layers of ESET security compared to Microsoft's built-in basic antivirus. ESET also advises to switch off Limited Periodic Scanning; we explain how to do this in a dedicated ESET Support article. It is still not known exactly how this periodic scanning will affect installed AV solutions, but there can be interference, computer performance can be affected, and there will be a heightened risk of false positives. With Windows Defender and its periodic scanning turned on, you can encounter false alarms (also known as false positives) from the periodic scanning, as well as observe unwanted notifications that his system is not secure – despite it actually being fully secure when an ESET product is installed, updated and active. No, if ESET is installed and up to date, there is no need of trying to enable Windows Defender. It is not recommended to run Windows Defender and ESET solution at the same time as it may lead to OS freezes and deadlocks. How can I disable Windows Defender notifications? 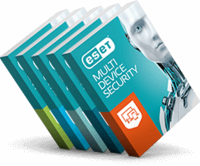 For a step-by-step guide on how to do this, just visit ESET Support. None of these features is offered by Windows Defender. Just click below, and follow the instructions.